Your mission critical business information is stored on your company’s servers. Protect that data with TAPNET Server Backup. TAPNET delivers an affordable, enterprise-grade solution for backing up your most critical business information. Backup to military-grade data centers, protect your data with award-winning online backup software and manage it all with an integrated centralized management platform. TAPNET ensures your corporate data is always protected. Integrated Exchange 2010 backup is available with every TAPNET Partner Program. 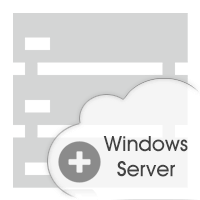 Backup and recover an unlimited number of Exchange servers. Exchange Granular Recovery allows recovery of individual mailboxes, email messages, or entire Exchange databases.